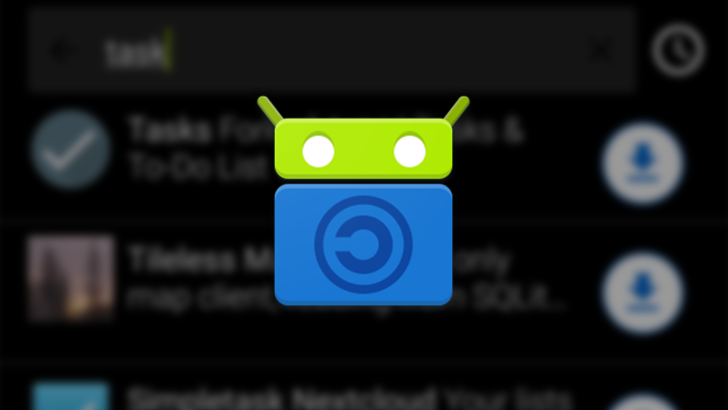 The latest F-Droid client looks nearly identical to v1.0, but there are a few changes to note. For one, app screenshots now expand to fill the width of your screen when you tap them, and you can swipe to progress through the full-screen slideshow. This is a welcome improvement, as the previous version didn't allow you to expand screenshots at all. There's also a sort toggle for the search interface. Previously, search results were displayed only in alphabetical order. Now you can switch between views that display results in alphabetical order or show the most recently updated apps first. 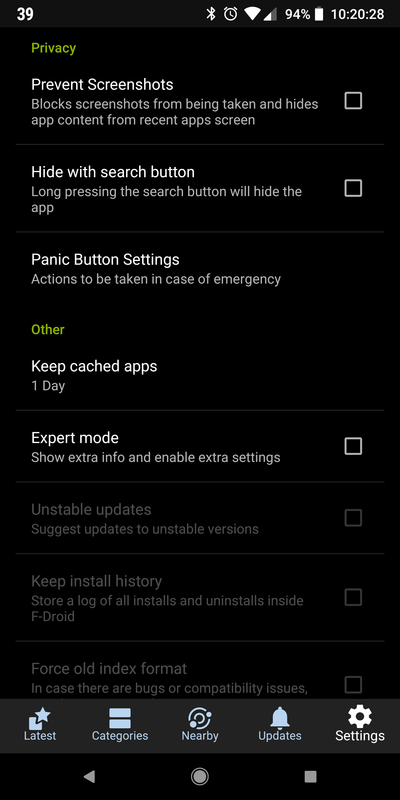 F-Droid v1.1 also has a new set of privacy preferences in the Settings page. You can now prevent screenshots from being taken within F-Droid and hide the app's content from being visible in the recent apps screen, quickly hide the app from your launcher by long-pressing the search button (you can restore it by typing "1337" in the fake calculator app that takes its place), and set actions if a panic button (like Ripple) is pressed. The latest update also brings a fix for apps in the Updates screen reappearing even after their updates are installed. I've found this to be quite maddening at times, though it doesn't happen as frequently as it did before. Since updating to F-Droid v1.1, I updated one app and didn't see it reappear in the Updates screen, which I suppose is promising. * "Android App Links" handling aka "Digital Asset Links"
If you're on the hunt for some open-source apps for your phone, F-Droid is a terrific place to start. (If you want a clean web-based interface to sift through the apps in this repository, use Fossdroid.) You can download F-Droid v1.1 now from the client's listing or update it through the app itself if you already have it on your device.